We aren't professional organizers; we are ordinary people committed to action in extraordinary times. 2019 is HERE and we have work to do. This year INBK has endorsed 8 local candidates, hosted meet & greets, and is registering voters and organizing opportunities for canvassing, phone banking and text banking! Interested in getting involved? Come to our general meetings first Wednesday of every month! 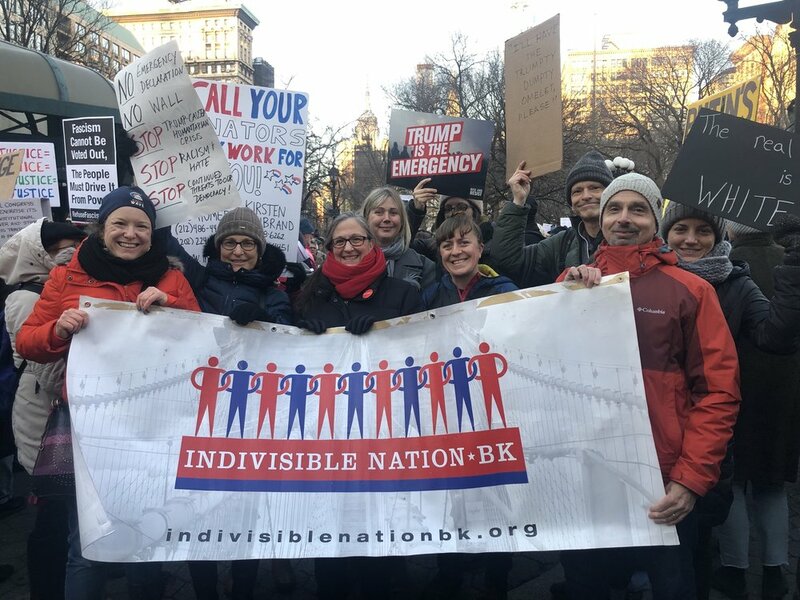 Sign up for our mailing list by emailing info@indivisiblenationbk.org. Nationally: We target our senators and representatives in Congress to fight extremism and corruption in the Trump administration and protect the institutions, norms, laws, and regulations that we view as essential to democracy and human safety. State/Local: We target our city and state level representatives with the goal of protecting New York State and New York City residents and institutions from the extremism of the Trump administration. Check our events page to find out where and when we're holding our next tabling session, meeting, protest, or organizing event!